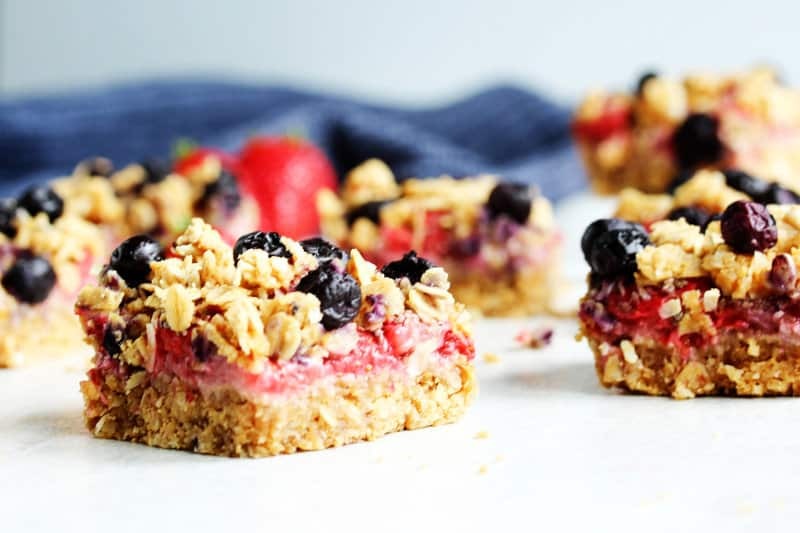 These healthy red white and blueberry crumb bars are chewy, sweet, and perfectly fruity! 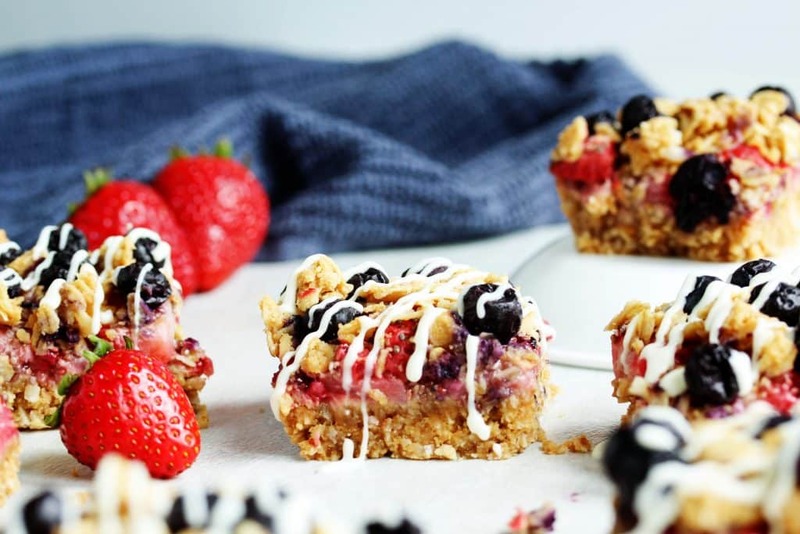 They’re perfect for a Fourth of July dessert, but are delicious enough to make any time of the year! 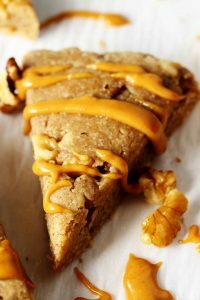 If there’s anything better than a delicious healthy dessert, it might be a perfectly themed healthy holiday dessert! 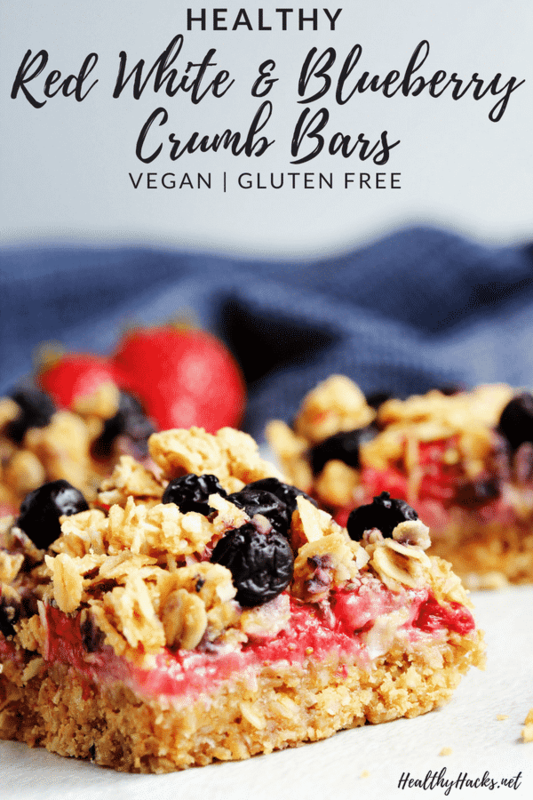 These healthy Red, White, and Blueberry Crumb Bars are perfect for your Fourth of July gathering – they’re easy, they won’t melt, and they’re vegan and gluten free so pretty much everyone can eat them. 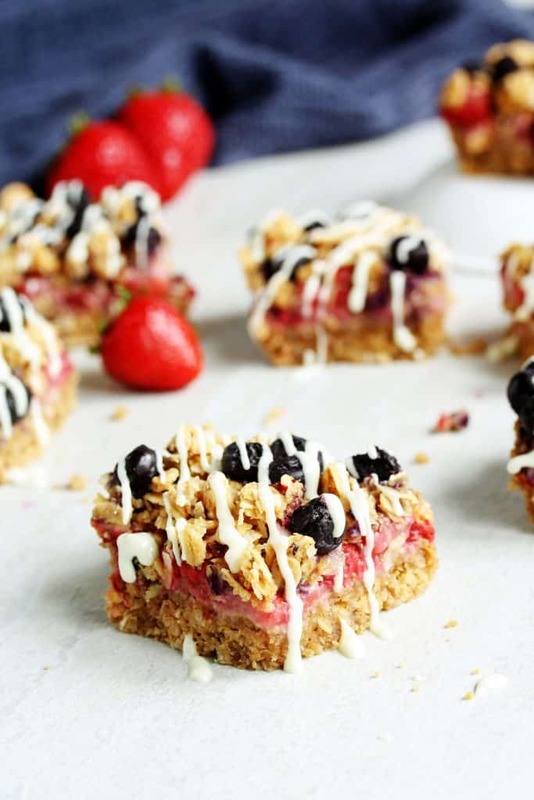 Last year I made a red, white, and blueberry flag cookie pizza, and some patriotic skewers with coconut balls, strawberries, blueberries, and brownie bites, and this recipe is what I’ll be making this year. 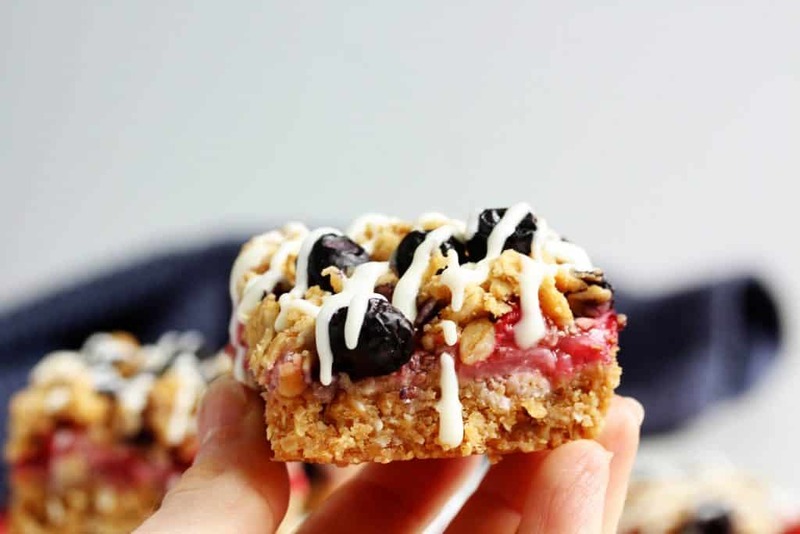 Anyways….whether you’re a planner or a wait til the last minute-er, these red white and blueberry crumb bars should be on your baking list. The oat bar batter can be made ahead of time and kept in the fridge for at least a week. It does come together in a matter of minutes, though, so if you need to throw something together the day of your gathering you’re good to go, too! Toss the strawberries in the rest of the filling mixture. The sugar helps release the juices from the strawberries so you get a nice, sweet, strawberry filling. But the chia seeds and the cornstarch help thicken it, so you don’t end up with a runny mess when you cut into the bars. Mix together the oaty, almond buttery base/crumb topping. Mix once, use twice! 😉 Most of the mixture will be pressed into a loaf pan to create the thick and chewy base. Then when you top it off with the strawberry mixture, all you have to do is crumble the remaining mixture on top! But this wouldn’t be a red white and blue dessert without some blue, right! So to finish it off, we’ll drop some blueberries over the crumble mixture. Give everything a nice little love tap on top to help it all stick together. Then off to the oven it goes! If you’ve never smelled baked strawberries before, you’re in for a treat! That waft of sweet, fruity smell that you get when you open the oven door will make it super hard not to slice them up right away. 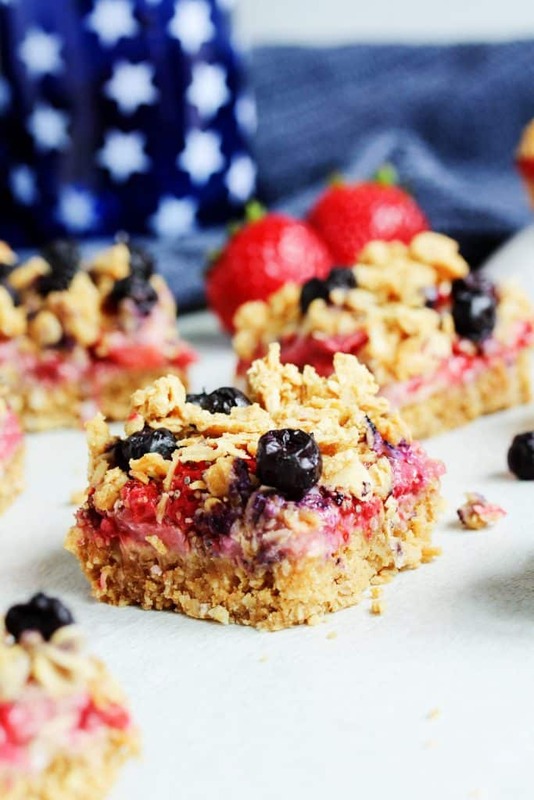 If you don’t mind ending up with healthy red white and blueberry crumb crumbs instead of bars, then you do you! But if you want them to actually hold their shape, you’re going to have to wait for them to cool before slicing. I promise I don’t write these recipes just to torture you . How will you be spending the 4th of July? Preheat the oven to 350 F and line a 9”x5” loaf pan with aluminum foil, keeping some above the rim to use as handles to lift out the bars. 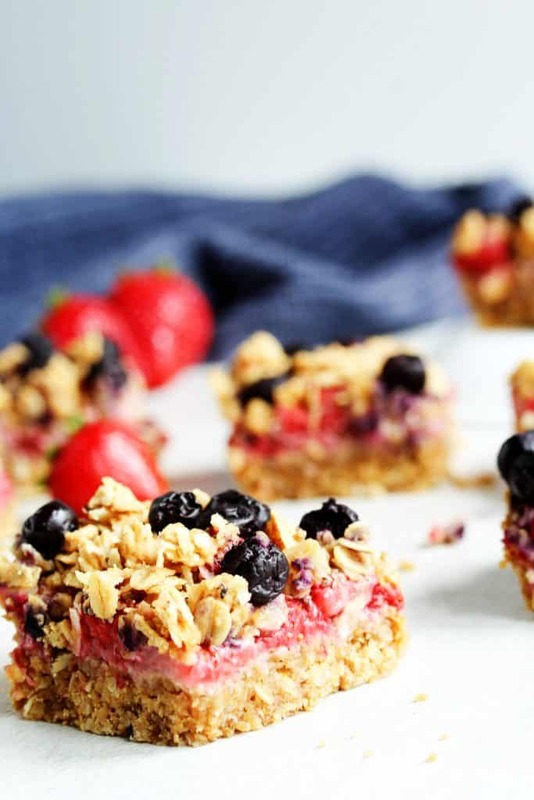 For the berry filling, in a medium sized bowl, add the strawberries, sweetener, cornstarch, chia seeds, and lemon juice. Toss the berries around until the cornstarch is no longer visible and the berries start to release some juice. Set aside. For the oat bars, in a large bowl, add the oats, almond butter, coconut, maple syrup, and salt. Stir until well combined and the mixture stick together if you press some together between your hands. Reserve ¾ a cup of the oat bar mixture. With the remaining amount of the oat bar mixture, firmly press it into the prepared loaf pan using your hands or the bottom of a flat cup. 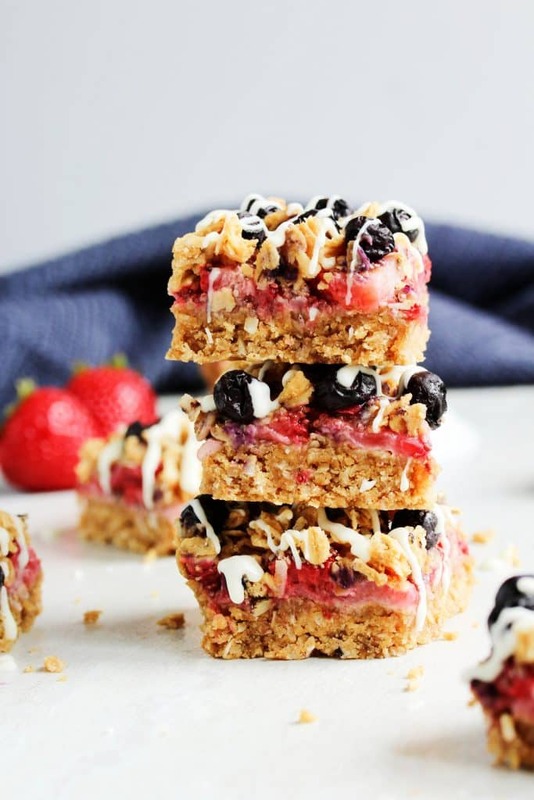 Evenly spread the berry mixture on top of the oat bar mixture (including the liquid that gets released). 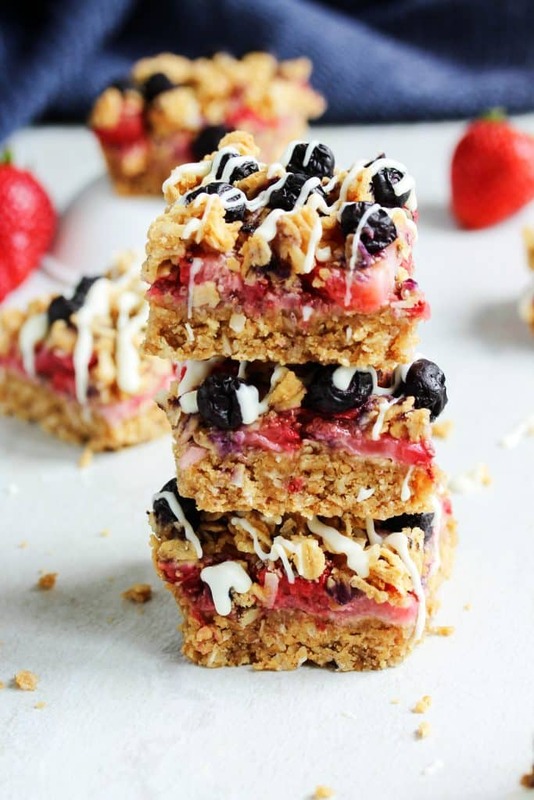 Crumble the reserved ¾ cup of oat bar mixture on top of the berry filling. 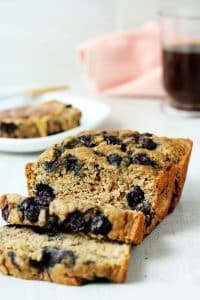 Add the blueberries on top. Lightly press the top of the bars down so that everything sticks together. Bake in the preheated oven for 20 – 22 min. or until the top is firm to the touch. Allow the bars to cool almost completely in the pan (about 30 min). Then remove from the pan using the aluminum foil overhand as handles, and allow the bars to cool completely before cutting (you can put them in the fridge to speed this step up, if you’d like). Slice them up into squares and enjoy! This sounds delicious! I plan to make it today :-) Can these be frozen (if they last that long lol)? I hope you like them! :) They would be best stored in the fridge for at least a week, but if you want to try freezing them I'd recommend wrapping them very tightly in freezer paper. I haven't tried freezing them but the fruit might get the bars soggy when they defrost. Hope that helps!